Councillor Henry Reilly. 'Picture By: Arthur Allison, Pacemaker. A fresh row has erupted in south Down about yet more vandalism of new street signs incorporating the Irish language. Sinn Fein councillor Sean Doran said several new signs had been destroyed in the Longstone area of Annalong. “Some residents had requested bilingual road signs and two were put up,” he said. “They had been concreted in but then were obviously pulled out with a vehicle. One of them was put back in but then torn out yet again. 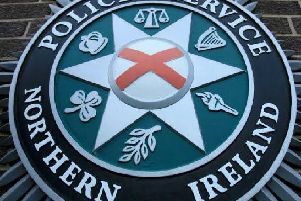 Attacks on similar signs has previously happened in Rathfriland, Attical and Hilltown, he said. But independent unionist councillor Henry Reilly said that republicans have made the Irish language “completely toxic and their use of it is seen as staking out territory”. He added: “There are genuine Irish language lovers but the way it is dealt with in Newry Mourne and Down has been like a weapon. There are hardly any Irish signs in nationalist areas of the borough like south Armagh, they are only put up in areas with a significant unionist population. “The council has recently put out a consultation on flags and emblems to work out a protocol, so I think Irish language signs should be included in this. In September the News Letter reported that 25 Newry Mourne and Down District Council Irish language street signs had been destroyed.